Recently, Instagram announced their new feature, IGTV. When initially announced, I thought it would be like Facebook Watch where only the most popular & well-known creators would be able to create programming for the platform. Imagine my surprise when my Instagram app updated and I found out everyone on IG could now create long-form video content. At launch, some well-known creators and personalities had content populating IGTV, showing us what was possible. Days before the launch, I had been thinking about making more videos for Instagram and possibly making an “Instagram show” of sorts so this development pleased me. Instagram has evolved from just photos to allowing 15 second video (which I experimented with) to allowing up to 60 second videos. Now, with IGTV, creators can upload videos up to 15 minutes with some creators being able to upload up to 1 hour. I’ve written about the power of video before and the power only increases with each new advance in tech. So, with each new advance, comes new opportunities to experiment and attempt to master. The process of designing anything for any platform or purpose begins with setting up the file. I edit all my videos in Adobe Premiere Pro. So, when I create a new sequence in Premiere, I have to make sure of two things in particular: the frame size and the pixel aspect ratio. For square Instagram video that I’d post on my regular feed, I use a 1080 x 1080 frame size. For IGTV, I use a 1080 x 1920 frame size for the vertical video format. With any video I am posting on the Instagram, I always have the pixel aspect ratio at 1.0 (square pixels). Videos must be between 15 seconds and 10 minutes long. Larger accounts and verified accounts can upload videos up to 60 minutes long, but they must be uploaded from a computer. Videos must be in MP4 file format. Videos should be vertical (not landscape) with a minimum aspect ratio of 4:5 and maximum of 9:16. The maximum file size for videos that are 10 minutes or less is 650MB. The maximum file size for videos up to 60 minutes is 5.4GB. As far as filming (or using) content for IGTV specifically, I try to keep in mind the vertical video format. I either just try to keep the main content centered when filming so I can maneuver while editing in Premiere or just film vertical, which you can do naturally on your phone. I have attempted to translate some videos I already created into IGTV format from my YouTube channel. The challenge there is to not assume all the content will be seen in a vertical format. I shift video file around and get creative in editing to make sure I am presenting the visuals in a way that’s appealing and unique to the platform. 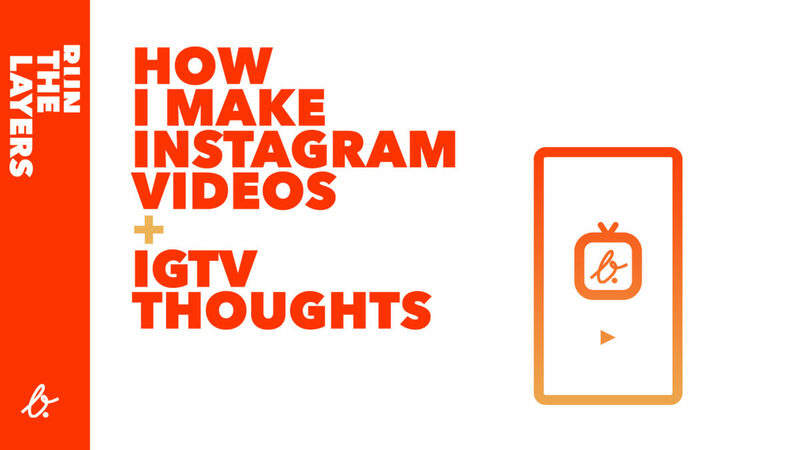 I encourage everyone who has a personal Instagram account or manages one for a brand to experiment with IGTV and video on Instagram in general. With any new feature or platform, you have to taste it and figure out how to best use it for the building and sustaining of your brand for your goals. I like that Instagram is giving creators so much on one app. I don’t necessarily see it as a YouTube killer but it does give creators another option and avenue. I have enjoyed my IGTV experience thus far and am looking forward to producing more content on it in the future. 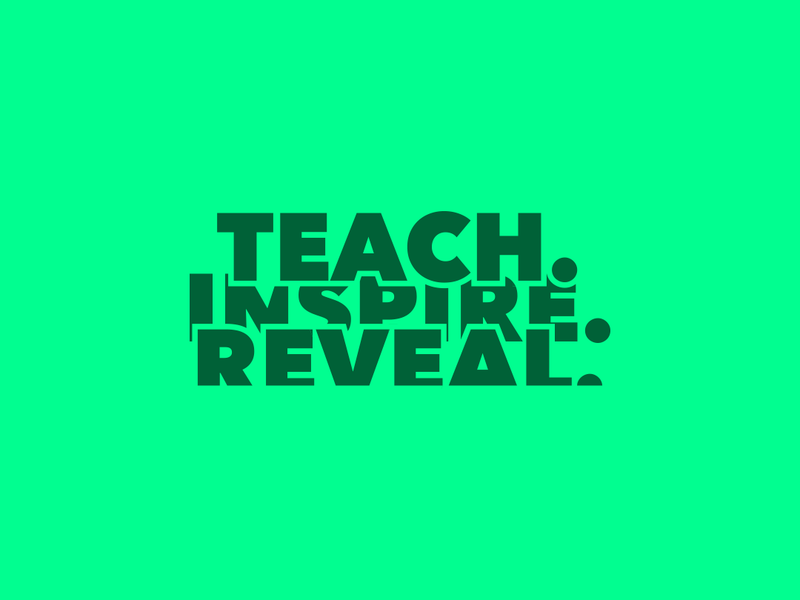 What I Want To Do With Content: Teach. Inspire. Reveal. To properly execute a strategy you need to know what you want to accomplish. In my humble opinion, creating with purpose is essential to a fulfilling life. Regardless of what you are creating, you need to be aware and constantly evaluating why you’re doing it. What do you want to accomplish? This past weekend, three words came to mind and I wrote them down. I want to accomplish these three things with my work and content. I want to teach what I learn as I learn it. I believe in pouring into others as I am being poured into. Being a person with expertise means having the power to help others who want to do what you do. I want to be seen as a resource for aspiring designers as well as potential clients. I want to inspire through the work that I share. I cherish the ability and the opportunity to be a catalyst for someone else to create. My wish for everyone is to achieve the reality of their creative potential. Sometimes that takes seeing someone else doing what you want to do. I follow numerous graphic designers who inspire me on a daily basis. I would love to one day be seen as an inspiration to someone who sees my content. I want to reveal the process behind the work I do as a way to help people gain understanding. People who aren’t even in the design space seem to enjoy my content. They like the visual concepts and content I post on my social media. They like seeing the behind-the-scenes of what I do. That behind-the-scenes content contextualizes my designs and serves as teachable opportunities. Through this blog, my video series, my designs, and more, I want to be an advocate for creativity. I want to do as much as possible with the skillset, resources, and opportunities I’ve been blessed with. 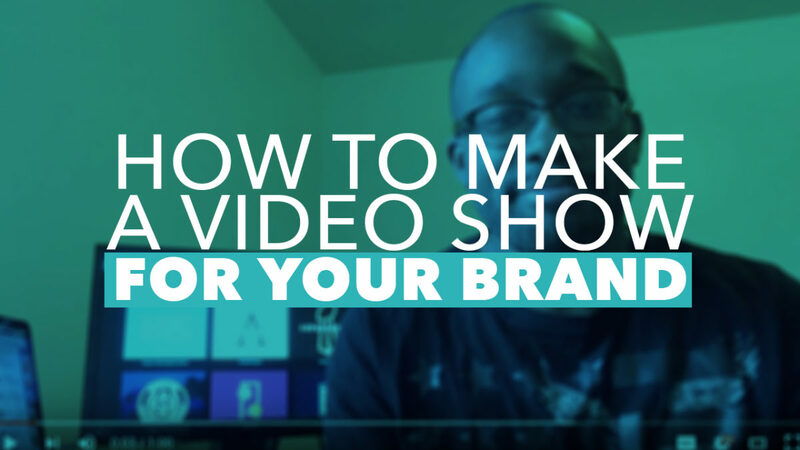 Creating a production schedule means understanding all the elements that go into your videos. During each step of the journey, you accomplish something that gets you closer to uploading something worthwhile. Here’s how I break down my attempt at making videos.